As there has been much speculation in the media about the role played by the cladding in this fire, we would like to address any concerns held by our customers, or by building owners who may have a Sto system installed on their property. Sto manufactures render-protected, external wall insulation (EWI) systems which are fully tested against fire spread in accordance with Building Regulations and, where appropriate BRE document BR 135, and which hold full BBA certification. There are a number of significant and fundamental differences between the externally insulated system which we understand was applied to Grenfell Tower and the products and systems designed and supplied by Sto, and these differences cover both the type of insulation and the exterior cladding facade. 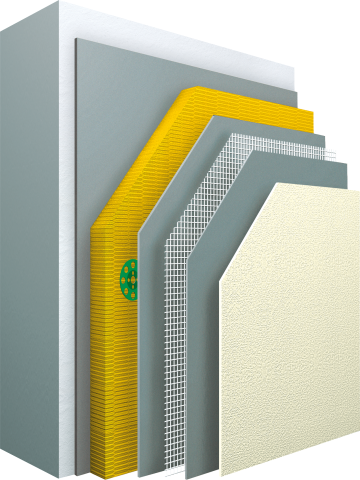 Our ventilated rainscreen systems use non-combustible mineral fibre insulation, stainless steel and aluminium sub-constructions, and external cladding panels that will not fuel the spread of flame across a building. Each system carries full BBA certification, which amongst other Building Regulation requirements, assesses the system for suitability in the event of fire, and specifically in respect of buildings up to and above 18m in height. At Sto we have a long history of investment in the research and development of our products and systems and they carry all the appropriate certification in respect of fire, and fully conform to all current building regulations. Should you require more specific information regarding any of our products or systems please contact Sto Limited on 0141 892 8000.